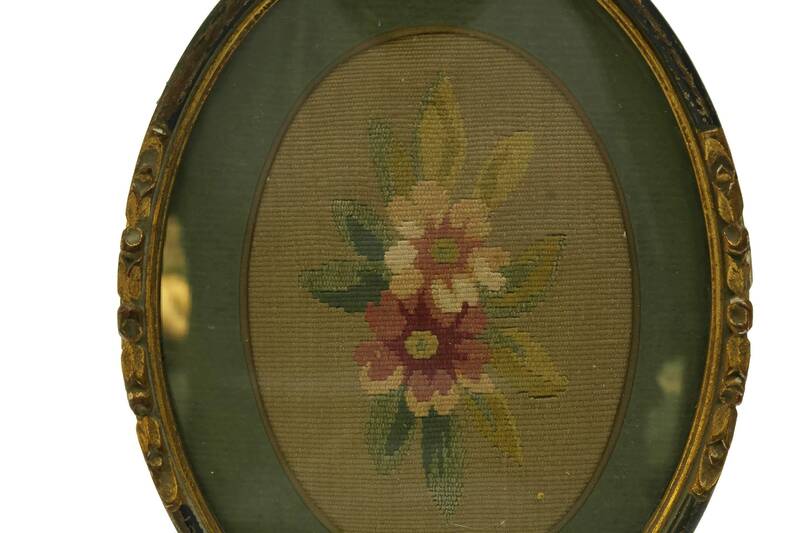 A charming antique French tapestry dating to the early 1900s. 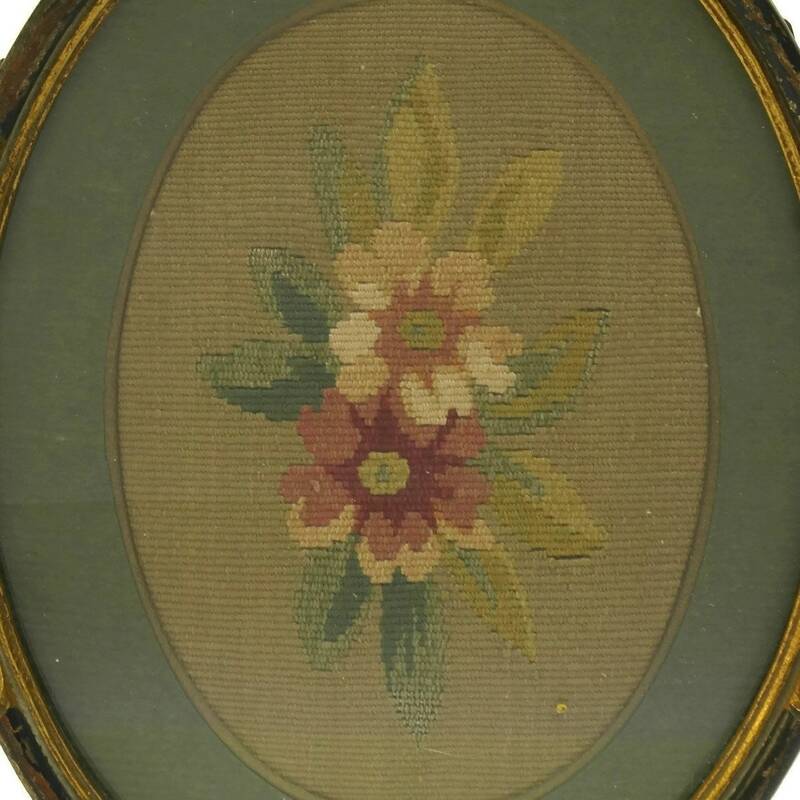 The hand embroidered tapestry features a pair of beautiful flowers in shades of pink and peach. 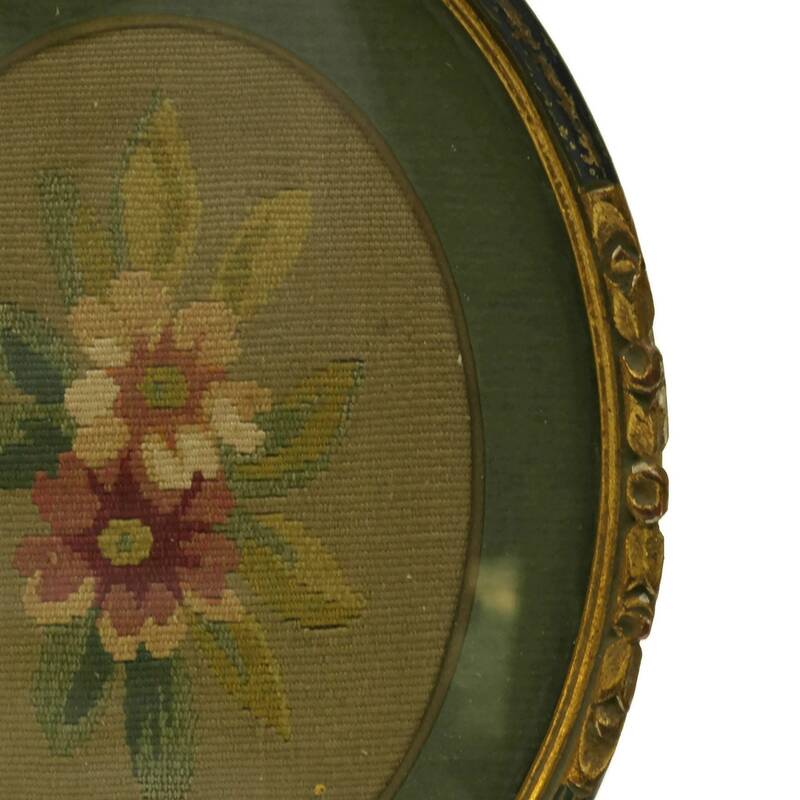 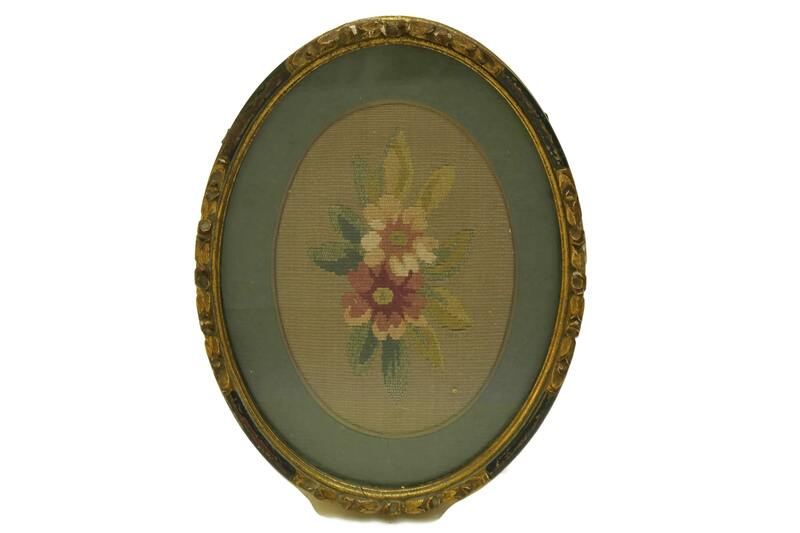 It has been mounted under an olive green mat and framed under glass in an antique wood and plaster frame with flower pattern painted in blue and gold. 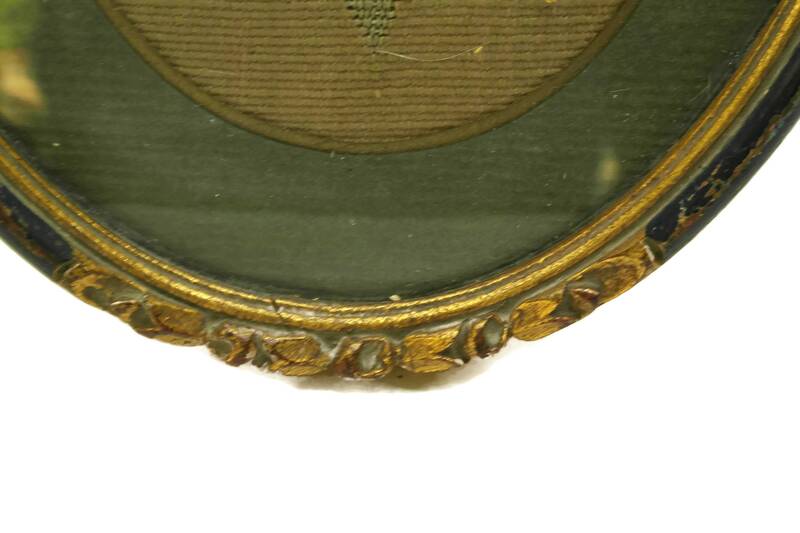 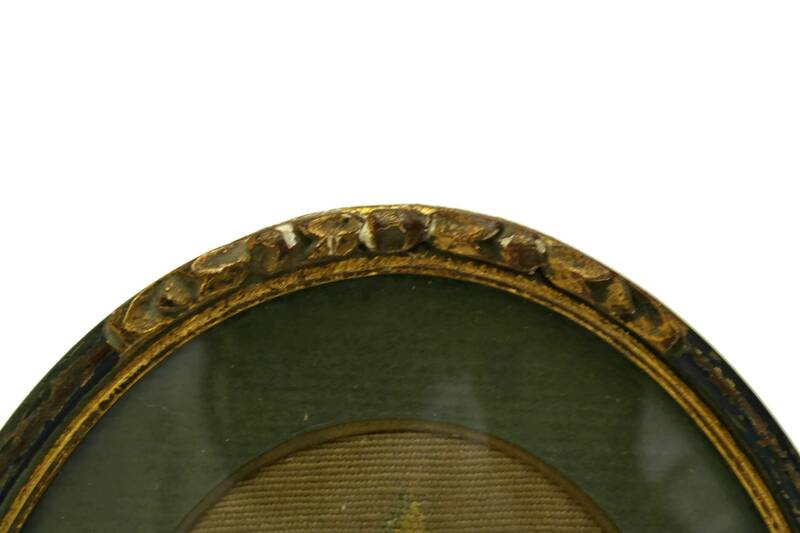 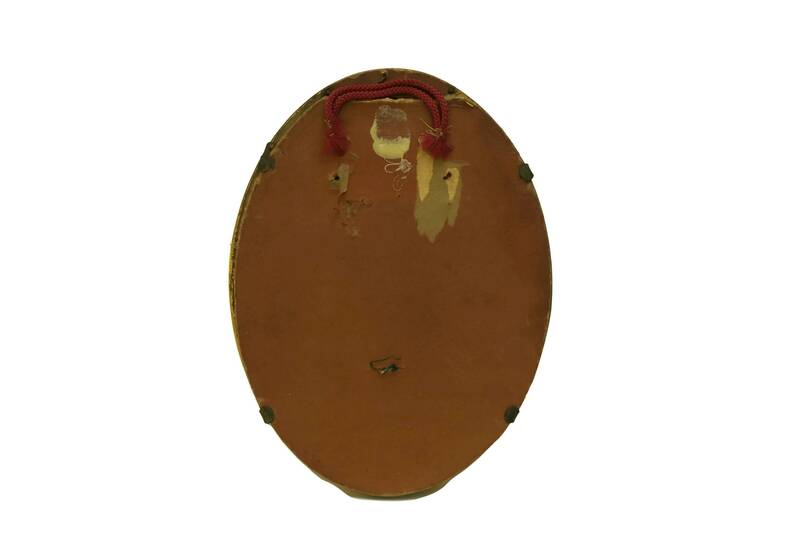 The back of the oval frame has a loop for hanging. 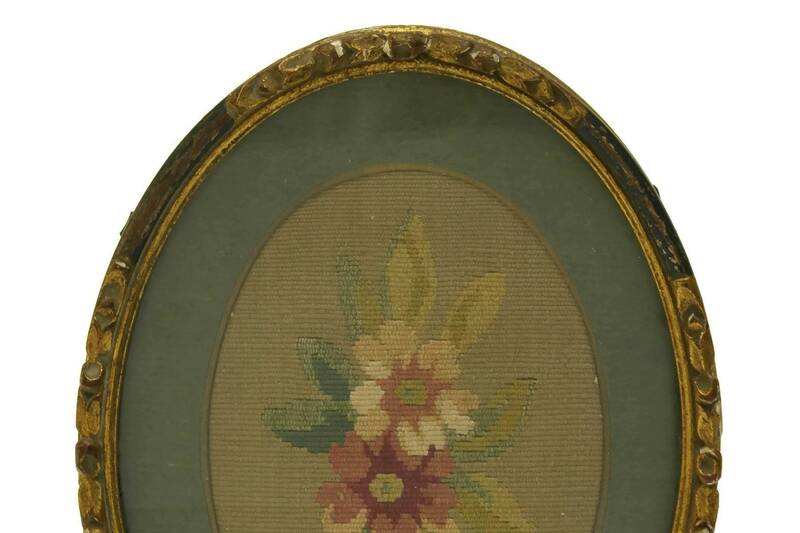 It will make a great gift for her. 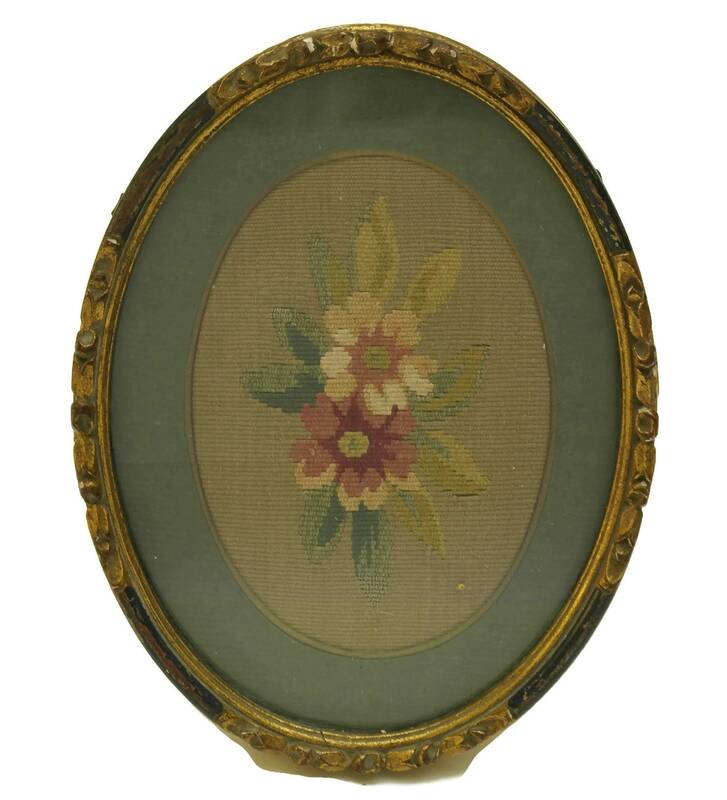 8 1/4" x 6 1/4" (21 cm x 16 cm). 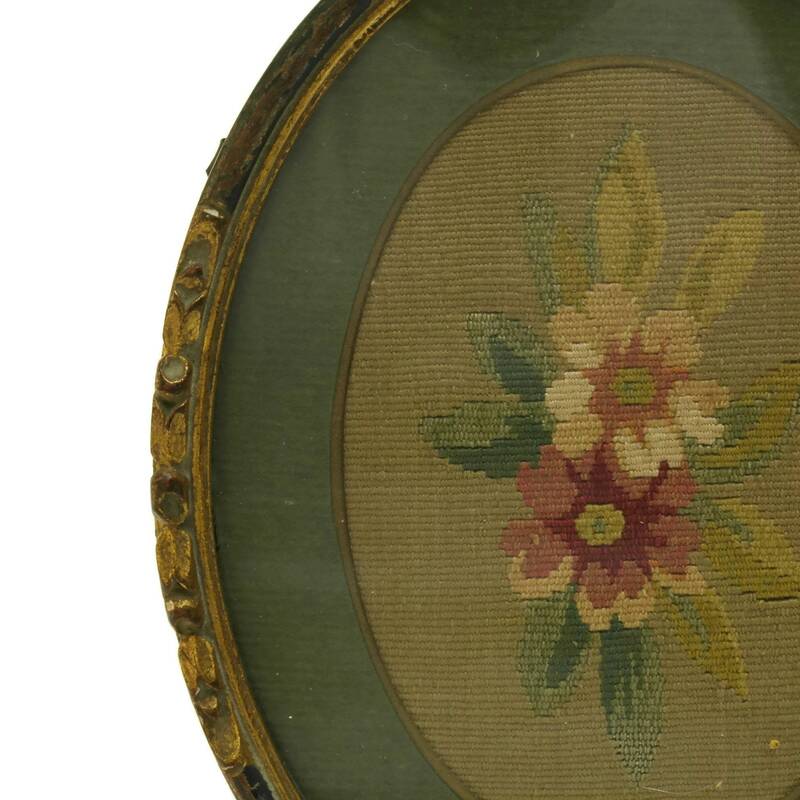 The French tapestry is in very good antique condition with signs of age and wear including some light flakes to the plaster.